Is It Safe to Combine Anesthetic and Alcohol? 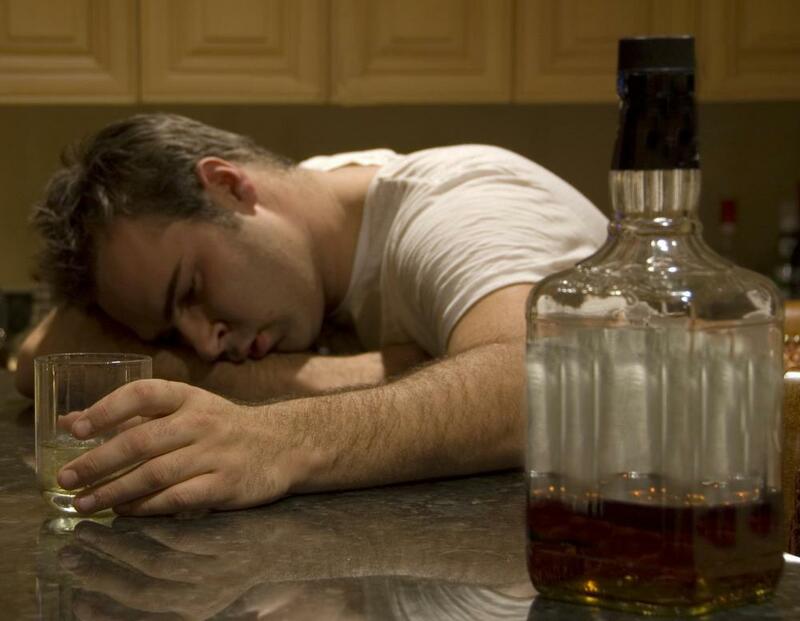 Excessive alcohol consumption makes the body less receptive to anesthetics. 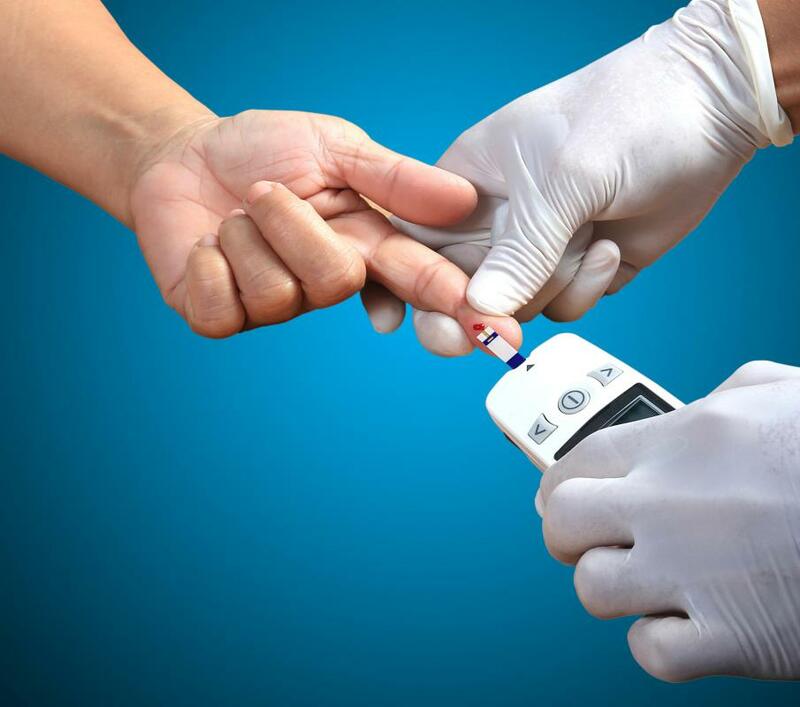 Physiological responses to alcohol may include diminshed blood sugar levels. 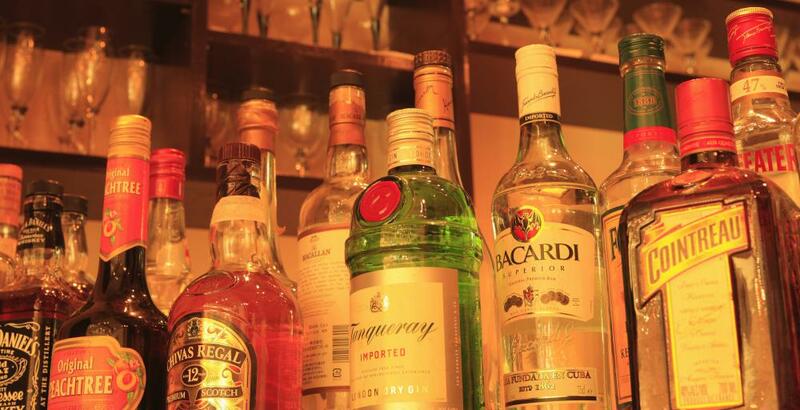 Taking anesthetics with alcohol can lead to blackouts and possible coma. Although not widely used in modern medicine, alcohol may play a positive role in some dental procedures. Most doctors recommend a 24 to 48 hour buffer for consuming alcohol before and after receiving an anesthetic. Taking anesthetic and alcohol at the same time can amplify the side effects of both. Numerous precautions surround both anesthetic and alcohol, particularly when the substances are combined together. Generally speaking, anesthetic should almost never directly interact with alcohol. Exceptions do exist for certain anesthetic procedures and certain types of alcohol. Anesthetic use can become an especially daunting task when chronic alcoholism is involved. Long-term alcohol abuse can produce lingering effects in the body that may make anesthetic administration challenging and perhaps dangerous. Physicians recommend that any patients not mix anesthetic and alcohol before or following a surgery or other procedure requiring an anesthetic. Specifically, recommendations usually advise that alcohol consumption not take place for at least 48 hours before and at least 24 hours after an anesthetic has been administered. Like most drug interactions, the intermingling of anesthetic chemicals with alcohol chemicals can produce adverse effects in some individuals. Since several different types of anesthetic exist, specific reactions can be diverse. A potential general risk, however, is the enhancing properties that both the anesthetic and the alcohol can have on each other. Using anesthetic before or after alcohol intake can amplify the common symptoms individuals experience when they are inebriated, such as impaired cognitive functioning. Likewise, alcohol can increase an anesthetic's influence on the body, making effects like numbing last longer. Even the indirect interaction of anesthetic and alcohol can prove troubling. Excessive alcohol consumption induces many effects in the body that ultimately make the body less receptive to anesthetics. For one, the portions of the brain that anesthetics act upon to reduce stress and physical responses to stress are damaged or depressed in many alcoholics. Other physical ailments are often present, which the anesthetic cannot fix or may even exacerbate: heart muscle damage, liver disease, and diminished blood sugar levels. In addition, physiological responses to alcohol withdrawal such as hypertension and trembling may put added stress on the nervous system, thereby necessitating increased anesthetic levels beyond what the patient can safely handle. 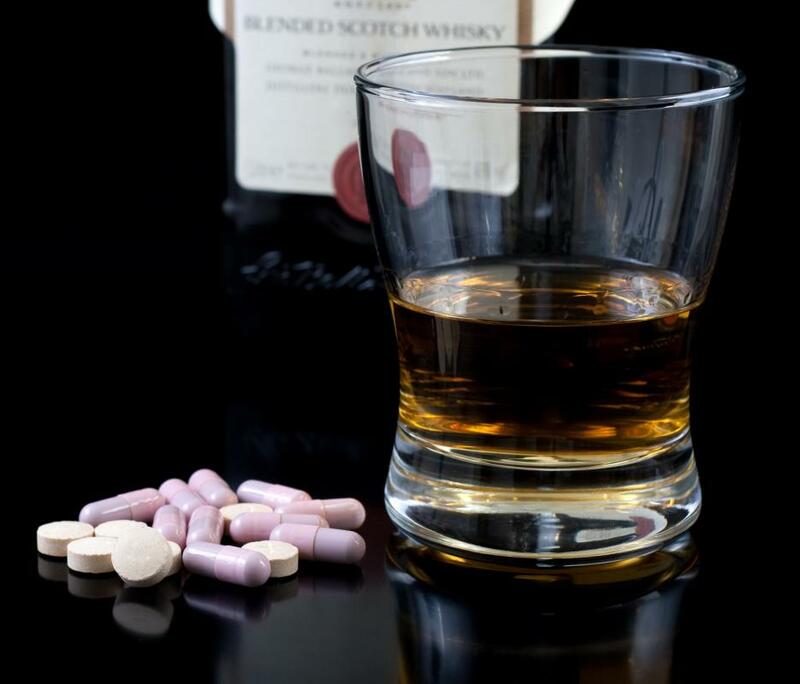 Despite the general negative viewpoints on combining the two substances, anesthetic and alcohol can become beneficial partners in some instances. Alcohol can act as a numbing agent on occasion. In fact, the use of alcohol as an anesthetic was commonplace in some regions before medical anesthetics came into prominence. Certain simple alcohols like mannitol can also prove useful in dental medicine. Some studies show that mixing a traditional anesthetic with mannitol can significantly reduce patient pain in dental procedures because the mannitol allows the anesthetic better access to irritated nerve fibers. What Is the History of Anesthetic? How Do I Choose the Best Anesthetic for Tattoos? What Is the Connection between Ethanol and Sulfuric Acid? How Do I Manage General Anesthesia Side Effects? What are the Different Types of Anesthetics? What are the Different Types of Morton's Neuroma Treatment? @simrin-- My roommate is afraid of dentists. 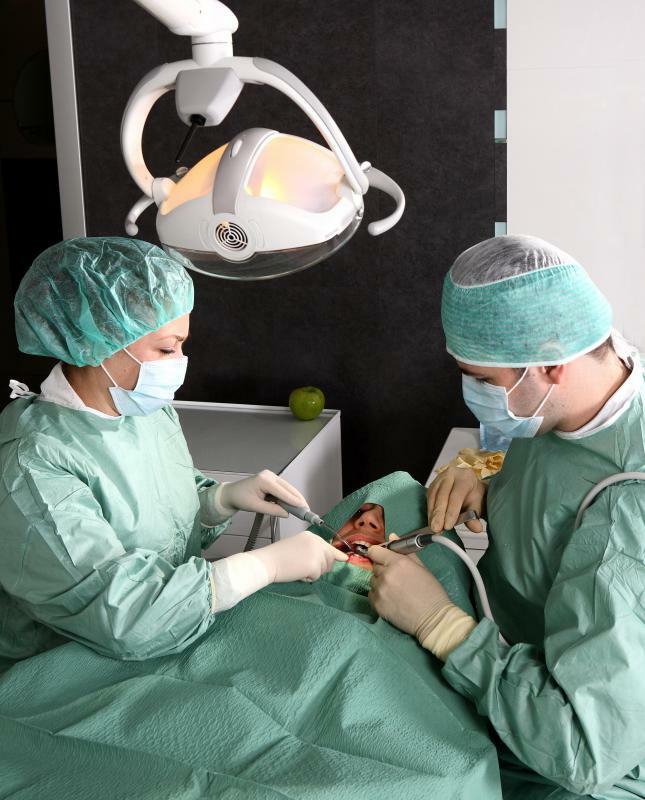 Once, he took several shots of vodka before going to the dentist's office for dental work. The alcohol basically made the local anesthesia ineffective. He was in so much pain throughout the procedure! It actually made things worse! I don't know why he didn't just tell the dentist that he's scared. The doctor would have given him a medication beforehand to relax him. @simrin-- I'm not sure about the local, but I know it's very dangerous to drink after general anesthesia. 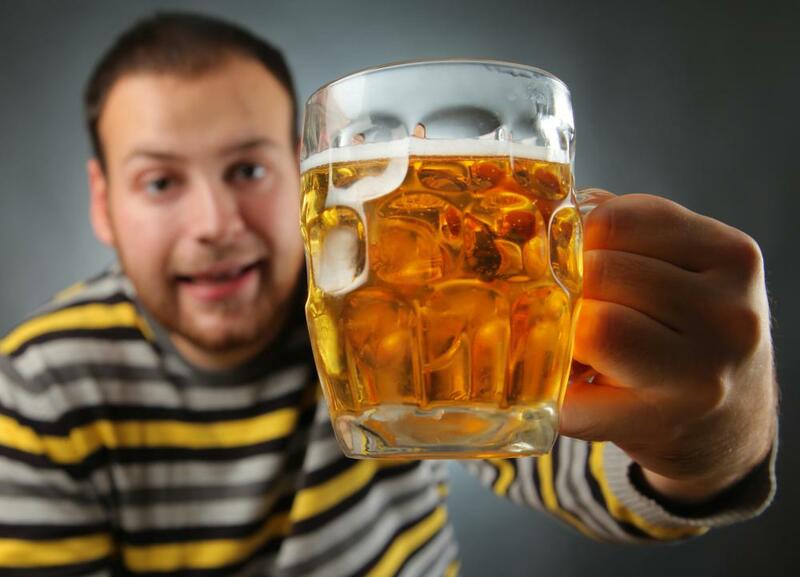 Both anesthesia and alcohol depress the central nervous system. So if they are combined, the results can be as serious as death. A few years ago, I read about a celebrity drinking after having his under-eye bags removed even though he was warned not to by his doctor. I think he was also on local anesthesia. His eyes were horrible the next day, they took pictures of him, his eyes were extremely red and swollen. So I think it's probably not a good idea. I understand why general anesthesia and alcohol should not be mixed. But what about local anesthesia? I had a minor procedure done a few hours ago with local anesthesia. Is it okay for me to have a few drinks tonight?